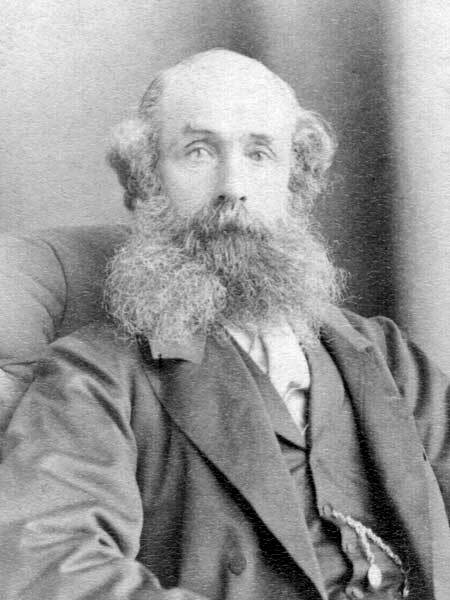 Born in Glenlyon, Perthshire, Scotland on 21 February 1808, he was educated partly in the country school and partly at Perth. His father was a Perthshire sheep farmer whom he assisted until 1830. When he came to Canada in 1832 for the purpose of taking charge as superintendent of the sheep farm of the Company in St. James Parish on the Assiniboine River, he was influenced in this decision by Sir George Simpson. While employed there he accompanied W. Glen Rae on an expedition to Kentucky to purchase sheep which the Hudson’s Bay Company was anxious to introduce into the Settlement. This venture proved a failure and in 1834 he was transferred to Fort Simpson to explore the Liard River and established a fur trading post on Dease’s Lake. For about 13 years he was engaged in the far west and north of this country, exploring and extending fur trade operations of the Hudson’s Bay Company, establishing several posts, after which he returned to England. Subsequent to his return to Canada he resumed his duties with the Hudson’s Bay Company. In 1859 he married Eleonora Stirling of Perthshire. Miss Stirling came with her sister from Scotland and met Mr.Campbell at Norway House where the marriage took place. They had three children, including Glenlyon Archibald Campbell. At this time he was in charge of the Athabasca District and subsequently was appointed to the Swan River District, where he remained until 1870. It is believed that he was discharged by the HBC, with the rank of Chief Factor, and was succeeded by Archibald McDonald. His wife died in Scotland in 1871. He lived principally with one of his sons at Merchiston Ranch, Riding Mountain, and was the first to import west Highland cattle into the province. He was a corresponding member of the Manitoba Historical Society and took a lively interest in its publications and transactions. He died at Winnipeg on 9 May 1894. His diaries are on microfilm in the Archives of Manitoba and the typescript is in the Manitoba Legislative Library. 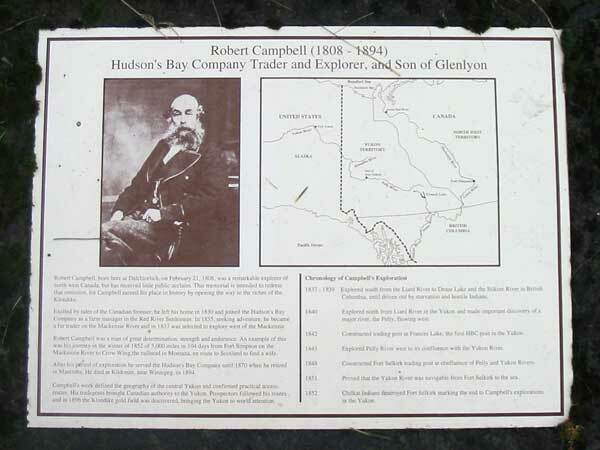 He is commemorated by a plaque at Glenlyon, Scotland. Robert Campbell, Dictionary of Canadian Biography XII, 155-56. We thank Martin Lasan for providing a photograph of the Campbell commemorative plaque, and Bill Stevens for providing additional information used here.